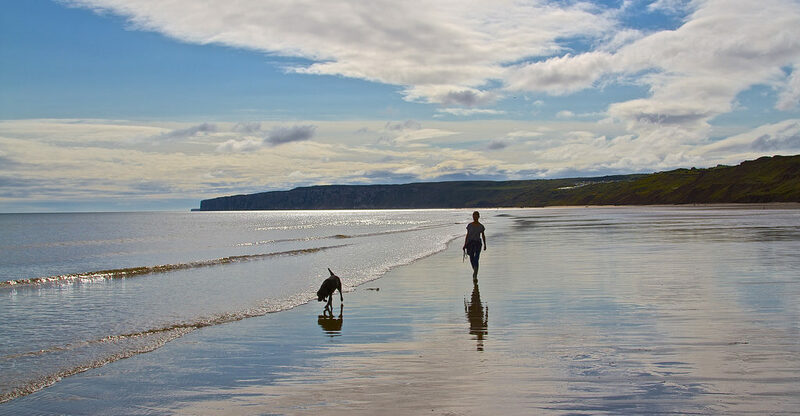 Number 1 – ‘Swim in the North Sea- Cayton Bay and Hunmanby Gap are good spots. Have you got a hidden gem you can tell us about? A beach on the East Coast which always seems overlooked by the crowds yet has fabulous sands and a little café to get tea and sandwiches when we are not having a makeshift barbecue on the beach is at Hunmanby Gap. The car park at the top of the cliff is run by a man with the most fantastic Parson’s Terrier. A great place.